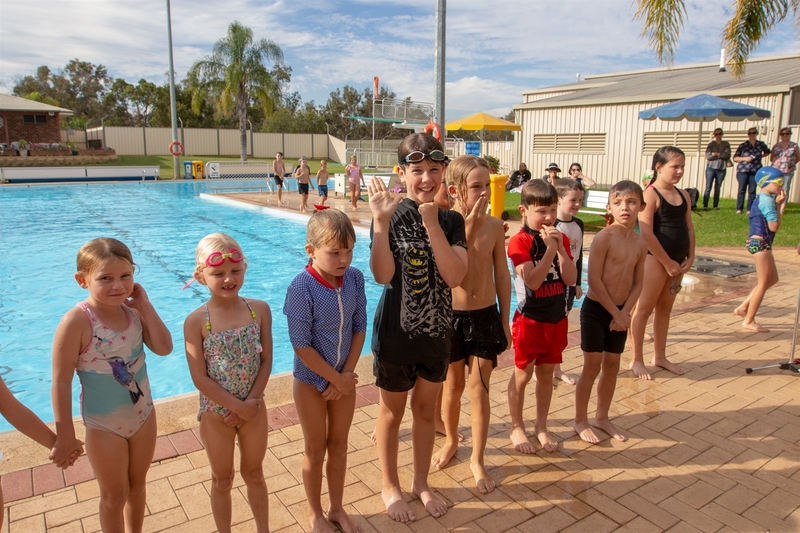 The Shire of Boyup Brook is working towards enhancing the child friendly facilities at the community swimming pool. 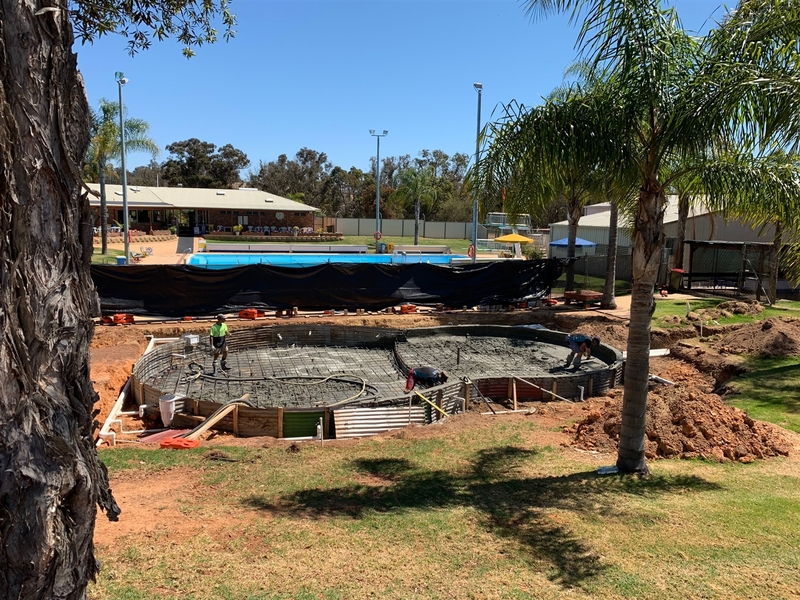 The new children's pool area will consist of a new children's pool, suitable for swimming lessons (500mm) and a safe, low depth (250mm) splash park area with features perfect for younger children. 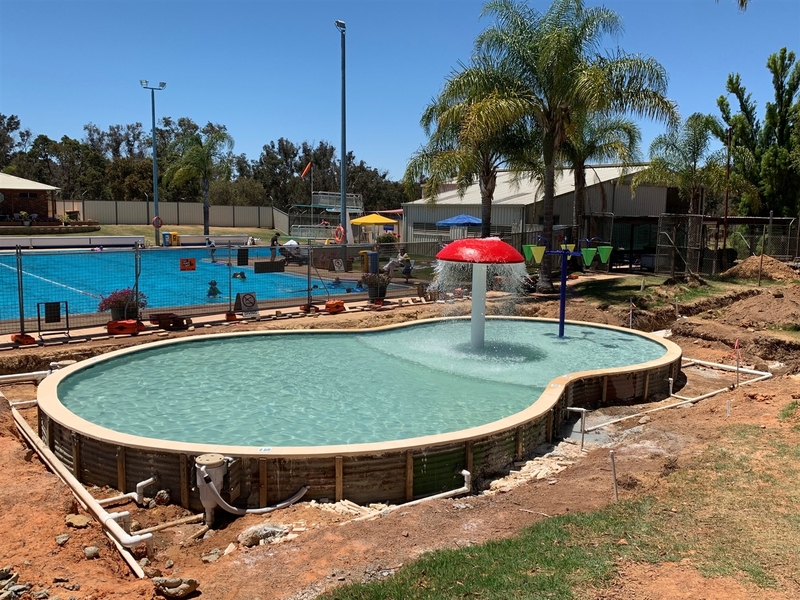 This is an exciting project which requires a significant investment and is proudly supported by the Boyup Brook Council, the Community Pool Revitalisation Program grant from the Department of Local Government, Sport and Cultural Industries (DLGSCI) and the Community Spaces Outdoor grant from Lotterywest. 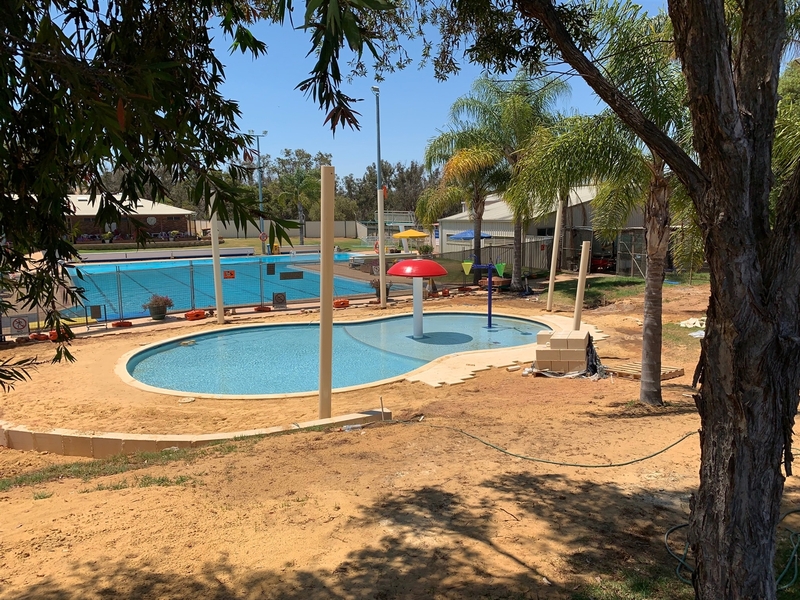 During the construction phase there will be no access to the existing toddler pool and the south side of the complex which will be fenced off. The main pool will still be operational. 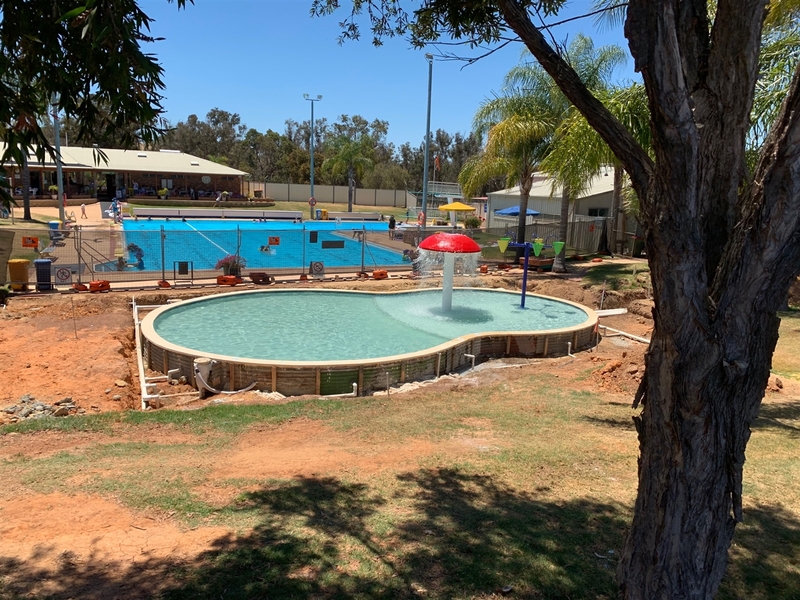 For more information on the new children's pool area please phone the Shire Administration Office 08 9765 1200 or email shire@boyupbrook.wa.gov.au. When was this project decided? 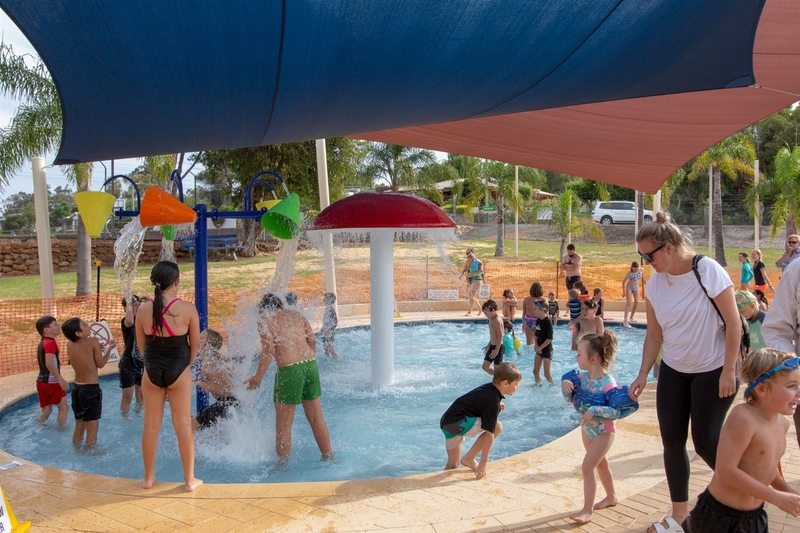 At the August 2016 council meeting, council resolved to support the development of a waterplay facility at the Boyup Brook swimming pool. Resolution 99–16. 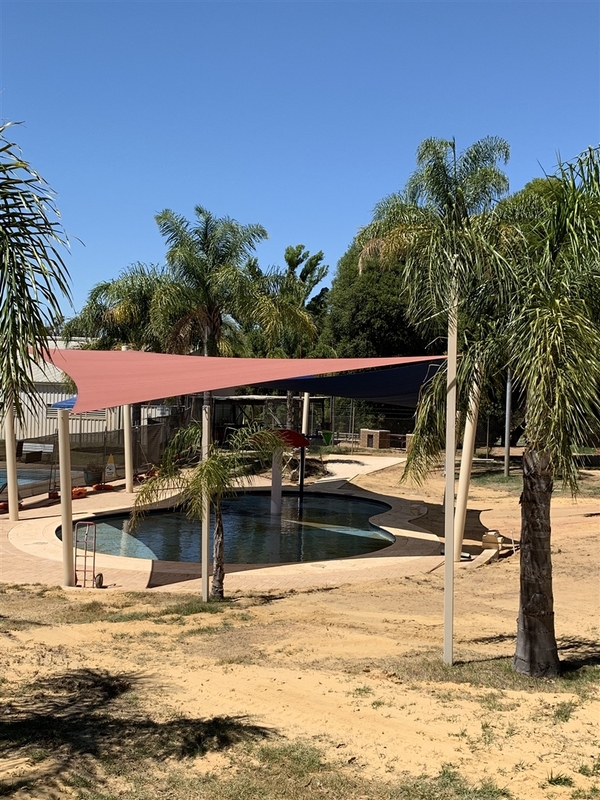 Council's Pool Committee considered two approaches to the design of the new facility, and selected the pool over the splash pad design. 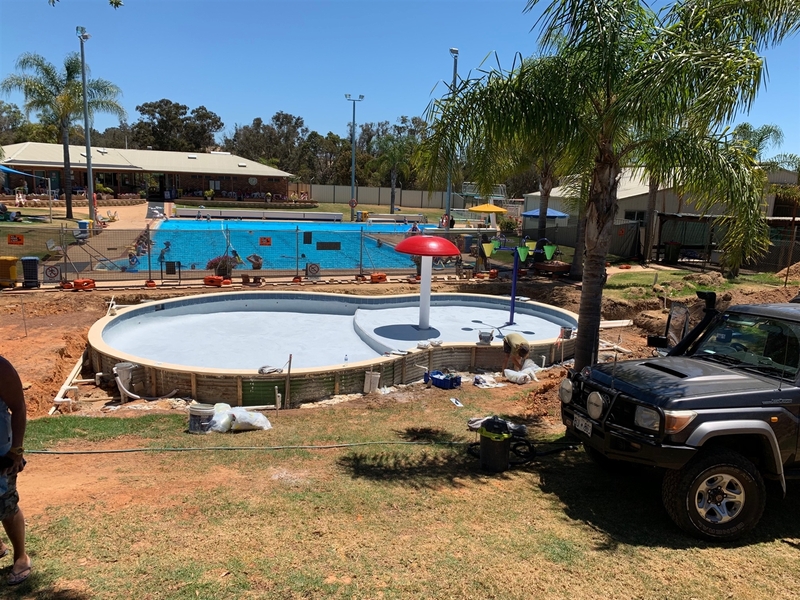 Subsequent to this both the Department and Lotterywest approved the children's pool project with acquittal/completion dates of 1st of March 2019 for Lotterywest and 15th of June 2019 for the Department. Why is it being built in summer? 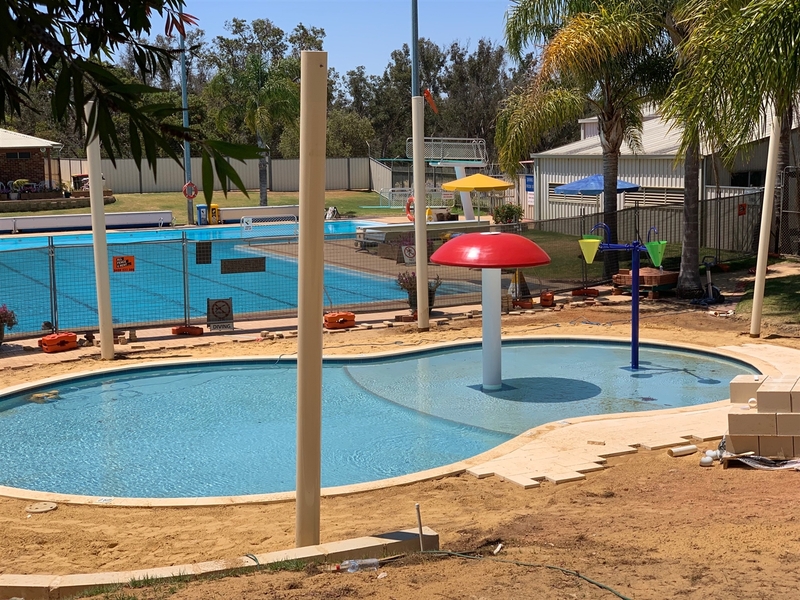 These grant funding dates did not allow Council to schedule the construction work outside of the regular pool season. Why is it a guitar shape? 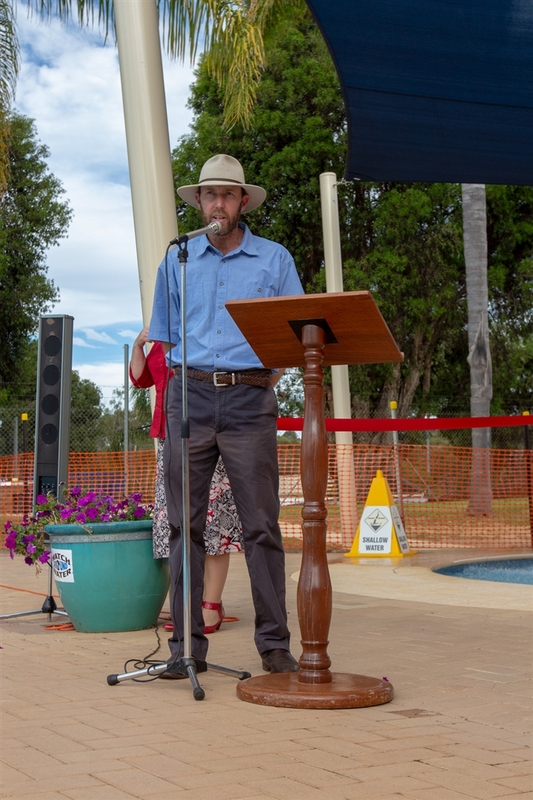 At a meeting onsite with members of the Swimming Pool committee one of the Councillors suggested a guitar shape. 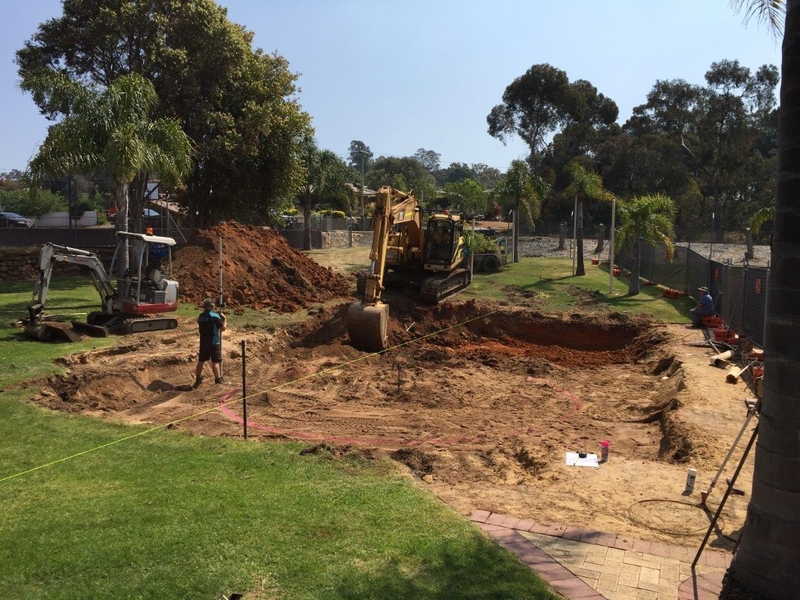 The figure eight is a standard pool design and paving around the edge will make it look like a guitar. Why did the frog go? The frog was the water return feature of the old toddler pool. 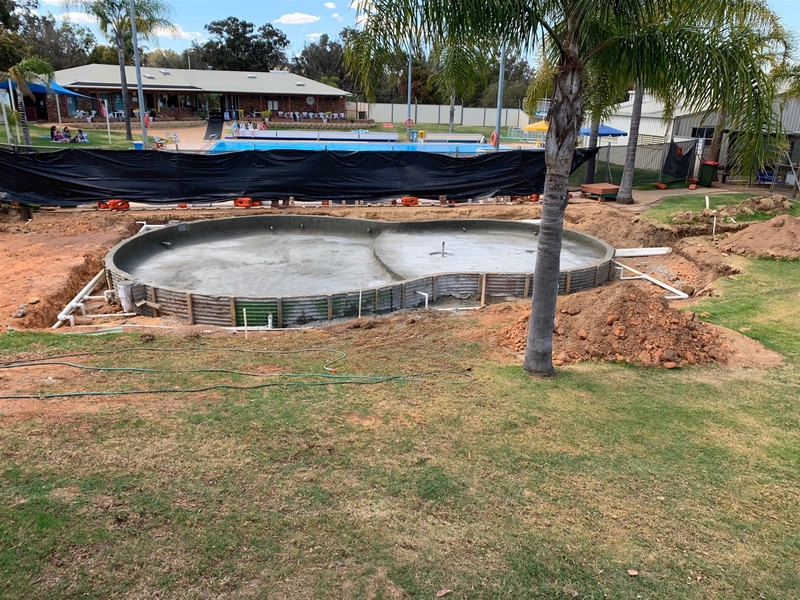 The new pool's filtration system is beneath the water level so the frog was not incorporated in the new design. 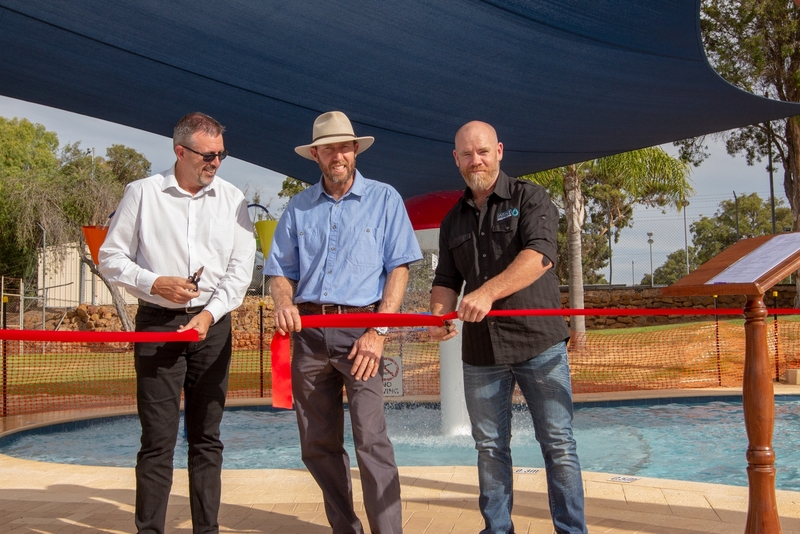 The new children's pool will have a mushroom and tipping bucket feature. Shade sails will be installed by the end of January. Following that paving will be laid and then the final Health Department Approvals will be applied for. 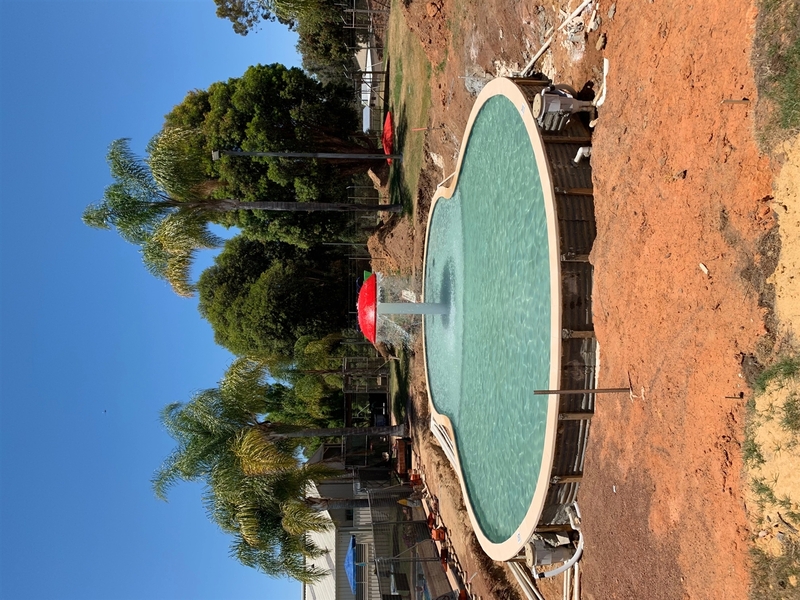 It is anticipated the new children's pool area will open March 2019 (depending on Health Department approvals).